Through investment of materials and coin, players are able to initiate a resource-generating business in the Doldrums. 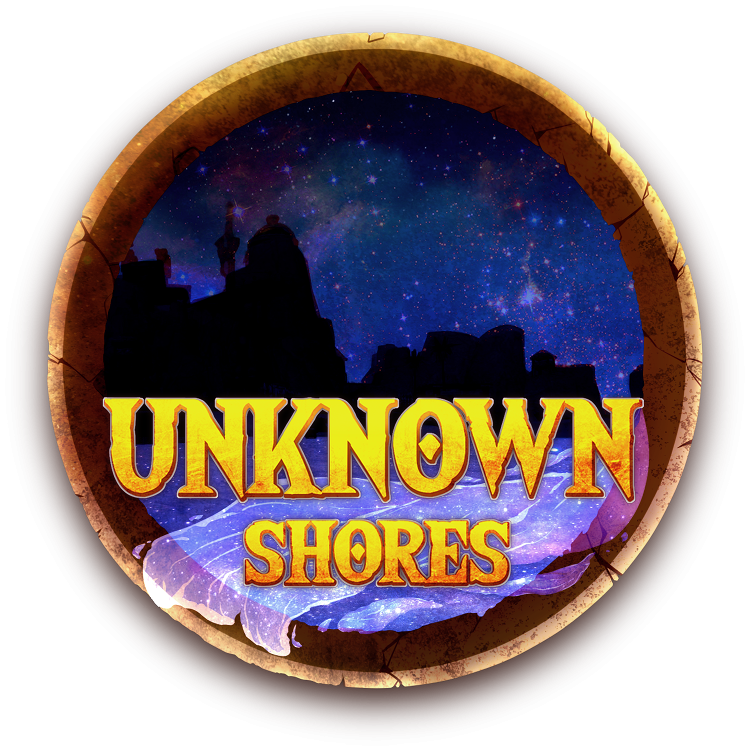 This requires the Business-Manager to have found a suitable location for their project, and have the appropriate npc workers (or the coin to hire some). These businesses can be upgraded to yield resources of higher rarities and allow more concurrent workers. NPCs can be trained by an appropriate-level character of the related profession, increasing their yield, but also their required wages. To suitably direct the business, the Business-Manager must have a skill level high enough to manage their workers. A character may only manage one business at a time. Once a business is set up and built, as long as coin is provided, resources will be generated at a given rate and stored in a storage box on-site. Of course, running a business has its own risks: If you place a lumbering operation on Kolai, you may want to hire a few guards too. Just in case. There're four types of businesses available: Workshops, Lumber camps, Textile-Farms, and Mines. Workshops allow the manifacturing of basic artificial components: Gears, buckles, enchanting supplies and glass, as well as refined medical plants. Lumber camps allow the gathering and replanting of woods of all kinds, from paper-grade, up to building materials or enchanted timbers. Textile Farms are farms specialised in nurturing animals for their leathers and wools, to then be refined in workable materials for everyday, or even uncommon, wear. Mining operations gather resources from deep beneath, be it metals required to craft nails or weapons and armor, or Stone to build fortresses or simple homes. Hired work comes in three levels of skill: Untrained, Trained, and Expert. Workers have different efficency levels in retrieving the materials depending on their skill. 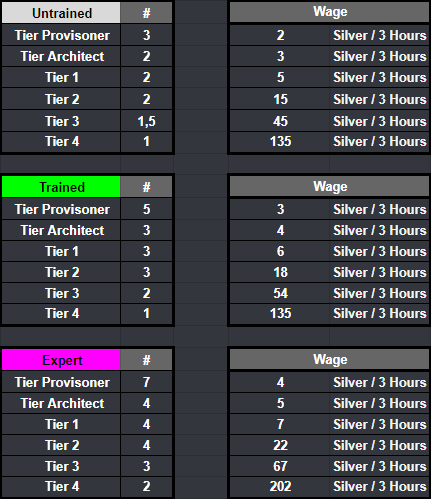 Higher skill costs more, but also produces more! Training work requires the Business-Manager to have a high enough level of the relevant skill. Trained: Requires skill level 20, and 25 productivity or 250 silver to be provided. Expert: Requires Trained Worker, skill level 40, and 35 productivity or 350 silver to be provided. A Trained level worker can be hired in silver-eye for 450s each, an Expert level worker for 700s. Workers hired this way still require someone with high level enough to direct them. Once hired, each worker can be assigned to work on one resource type for your facilities. They will provide the specified amount of materials every 3 hours, withdrawing the wage in exchange. Example: An Untrained Woodlander set to collect Rugged Timber will produce 2 rugged timber every 3 hours, at the cost of 5 silver.